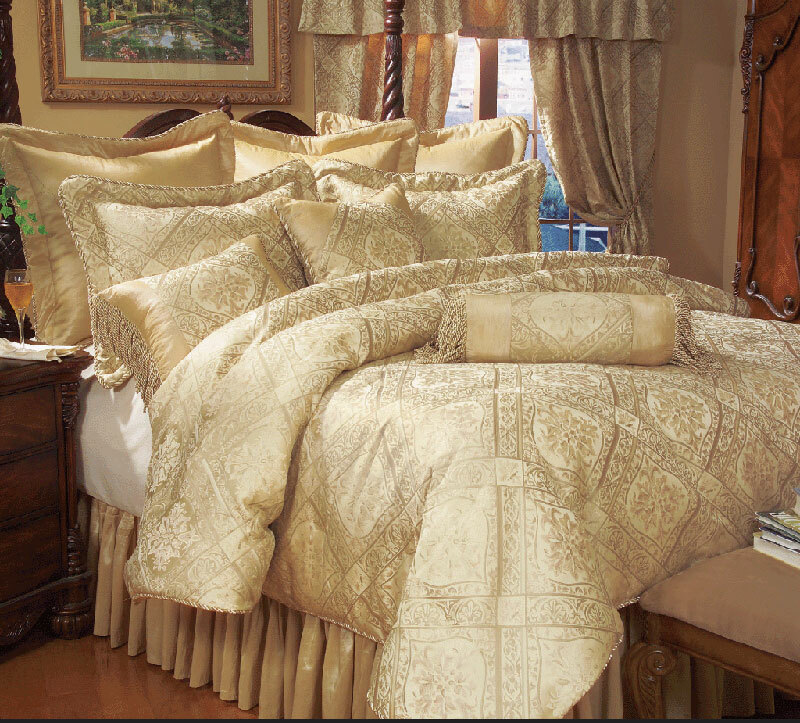 This luxurious silky jacquard bedroom in a bag features classic regal pattern on soft gold ground. 2 Euro Shams and 3 decorative cushions included. Matching curtains available.